Tekapo Adventures - Lake Tekapo. Activites with Tekapo Tourism. 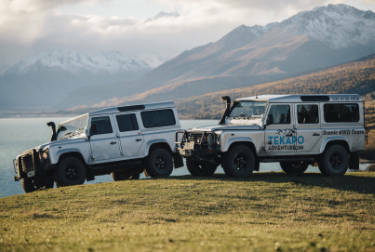 Explore Tekapo's backcountry wilderness on a Scenic 4WD Tour. Daily departures from Lake Tekapo offer guests the opportunity to experience the breathtaking scenery surrounding Tekapo's wilderness areas. Private access with 4WD Vehicles allows you to explore some of New Zealand's most beautiful High Country Stations exclusive to our guests. Discover the impressive natural beauty beyond Tekapo lakefront for unique photography opportunities and an experience of the Mackenzie High Country wilderness, situated in the heart of New Zealand's iconic scenery. 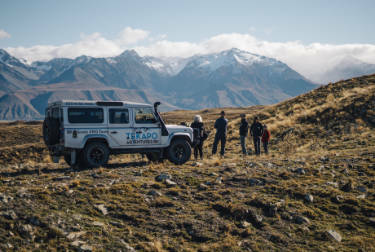 Our 3 & 4 hour & private tours include interpretation of the unique landscapes and ecology that make up The Mackenzie Basin, remote access into the heart of The Mackenzie backcountry which includes stunning vistas of Mt Cook, Lake Pukaki, The Ben Ohau Ranges and the remote The Cass Valley Wilds. An inspiring day tour from Lake Tekapo.